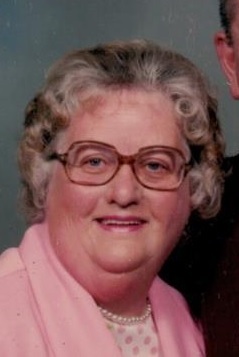 N. Ruth Cunningham 87, of Catawissa went to be with our Lord, Wednesday, April 3, 2019 at her home, surrounded by her family. Ruth was born August 9, 1931, in Catawissa, a daughter of the late Bessie L. Becker. In addition to her mother she was preceded in death by her husband Wade E. Cunningham, who died May 9, 2008, and sister Lydia Welkom. Ruth was a graduate of Catawissa High School and worked for Geisinger Medical Center in Danville where she worked as a transcriber until her retirement. She was a member of Good Shepherd United Methodist Church Bloomsburg. Ruth is survived by two children, Kristy Irons and her husband Robert of Catawissa, with whom she lived with, Timothy L. Cunningham and his wife Mary of Apex N.C., four grandchildren, Justin E. and Nicole A. St Clair and Timothy and Joseph Cunningham, one great grandson Zachary Wade St Clair. As well as several nieces and nephews. Services will be Monday, April 8, 2019 at 10:00 am from the Allen R. Horne Funeral Home & Cremation Services, 193 McIntyre Rd. Catawissa Pa. 17820, with her Pastor Audrey Brosious officiating. Burial will follow at Elan Memorial Park, Bloomsburg Pa. 17815. Friends will be received Sunday, April 7, 2019 from 5:00pm till 7:00pm at the funeral Home. The Allen R. Horne Funeral Home & Cremation Services is handling arrangements.